Here share with you a personal tested guide, hope it helps and try your own risk! How to set up MB Star C4Wireless on a Dell XPS15 9550 laptop WIN10 and run Mercedes Xentry 03.2017 software? I’m running Win10 on a Dell XPS15 9550 laptop with Intel AC 8260 internal wireless card installed. After days of investigation and testing, the most important thing is that: The drivers for your wireless card MUST support AdHoc functionality. This command will show “Yes” or “No” on the line for “Hosted Network Support”. If this line says “No”, AdHoc will not work properly. Although I’m running Win10, Intel has drivers for the 8260 wireless card for Win8 which will enable proper AdHoc functionally. The trick is to download the driver first, prior to removing your existing wireless driver. Download the driver ONLY, not any driver file with additional driver management apps included in the downloaded file. Now you can go into Device Manager and remove your existing wireless card AND check the box that removes all software associated with it. My Win8 driver download file was a .exe file. I double clicked on it and the Win8 driver for my Intel 8260 card was installed. Went to Device Manager, right clicked on my 8260 wireless card and selected Properties. Clicked on Advanced and was able to see several AdHoc related entries. These AdHoc entries were not visible using the Win10 drivers. This command will show “Yes” on the line for “Hosted Network Support”. With AdHoc functionality confirmed, additional DOS commands can now be used to enable Road24h wireless connectivity. This is what worked for me. Depending on your computer skills, your results may vary. P.S. Recommend to get MB DAS Xentry HDD 03.2017 for WIN7 or WIN10, WIFI set on WIN10 100% OK! Super Autoboss V30 Elite Scanner supports multi-language, including English, Spanish, Russian, French, Italian and German (English is the default language). Here I would like to share you how to change language for Autoboss Tools (SPX) Autoboss V30. AUTOBOSS V30 Elite, MaxiDAS DS708 and X431 IV are classified as the most popular universal scanners. 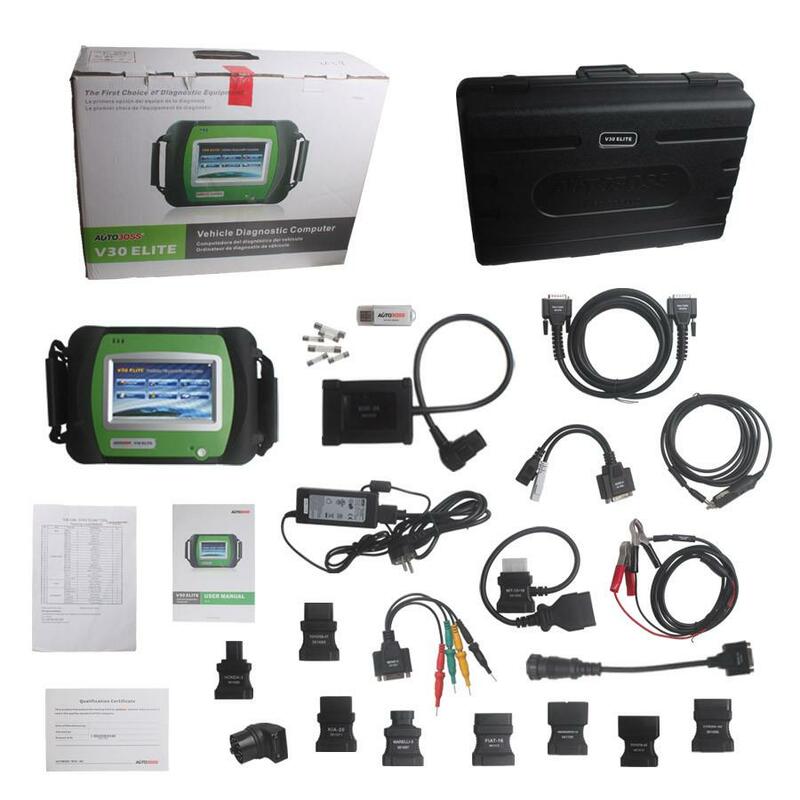 They all can do diagnostics for Asian, European and American autos.AUTOBOSS V30 Elite Super Scanner, it really is A lot more than just looking through & clearing fault codes – goes far beyond and accesses the complete vehicle, including: drive line, chassis, body, and the networking/communication modules. Update: online, one year for free. 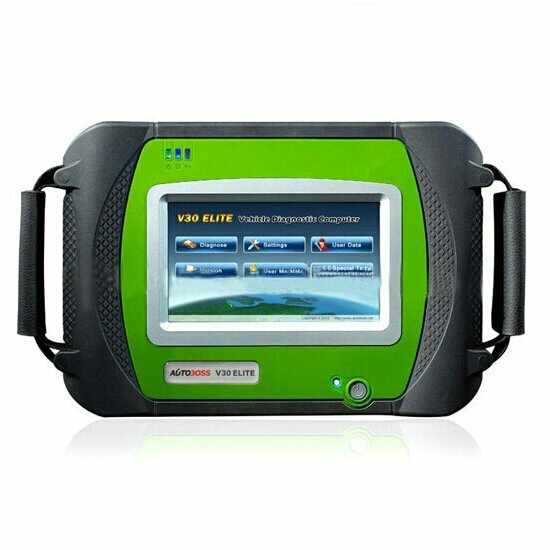 AUTOBOSS V30 Elite Super Scanner is professional and powerful auto diagnostic tool.It is not only good at reading and clearing obd2 fault codes but also beyond and accesses the complete vehicle including drive line, chassis, body, and the networking/communication modules. It can Update Online and have 2 years free update online , cover more than 57 makers , 40,000 vehicle systems. The Autoboss V30 Elite Auto car diagnostic tool is one of the most popular tools for people to test their car, but now appears a newer product, it is the new generation of AUTOBOSS V30 Elite Super Scanner, its called Autoboss v30 Elite Super Scanner. Its not only do for diagnose, it also can do for some simple key programmer, And the v30 elite features are: the internal printer. Autoboss Elite V30 is the original product update by internet for one year free.